This policy does not apply to the practices of companies that Strategic Investment does not own or control, or to people that Strategic Investment does not employ or manage. Strategic Investment collects personally identifiable information when you register for a Strategic Investment-published newsletter, subscribe or make a purchase online or register to use any of our website's tools. Each time a visitor comes to a Strategic Investment website, our servers -- like most on the Web -collect some basic technical information, including, for example, the visitor's domain name (e.g., whether the user is logged on from aol.com), referral data (e.g., we record the address of the last URL a user visited prior to clicking through to the Strategic Investment website) and browser and platform type (e.g., a Netscape browser on a Macintosh platform). Strategic Investment uses information for four general purposes: To verify you are a subscriber, to customize the content you see on our pages, to fulfill your requests for certain products and services, and to contact you about specials and new products. Strategic Investment may, at some time, sell or rent your personally identifiable information to vendors whom we have specifically chosen. We find that your actions on our websites violate the Strategic Investment Terms of Service or any of our usage guidelines for specific products or services. Strategic Investment gives you the ability to edit your account/subscriber information and preferences at any time. Login as usual then visit "My profile" to do so. By accepting of the terms and conditions of this website and any associated offers, and providing your telephone number, you consent to receive recorded telephone messages regarding various special product offers and purchase incentives from Strategic Investment. Recorded Calls: By subscribing, you are providing your express written consent to be contacted by Strategic Investment via prerecorded telephone message at the number you provide for purposes of the Amended Telemarketing Sales Rule (16 CFR §310 et seq. ), and the Electronic Signatures in Global and National Commerce Act (15 USC §96), as amended from time to time. The calls you are agreeing to receive include special offers for goods and services offered by Strategic Investment. You are subscribing to receive calls only from Strategic Investment, and only at the specific number(s) you have provided to us. Your consent will be effective if the number you have provided is a home, business, or cell phone line, or if the number is registered on any state or federal Do-Not-Call (DNC) list as of the date of this consent. This consent shall remain in effect until you revoke it by unsubscribing from our special offer program. To unsubscribe: You may revoke your consent to receive calls at any time by either (a) utilizing the opt-out procedure included in any message you receive; (b) by visiting /nocalls/ and submit the phone number to be removed; (c) by calling 1-877-524-8298 or 1-561-750-8450; or (d) by sending a written request to Strategic Investment, 2424 N Federal Highway, Suite 401, Boca Raton, Florida 33431. Customers may contact customer care at 1-877-524-8298 or 1-561-750-8450 to be removed from promotional offers via direct mail or telephone. Strategic Investment may edit this policy from time to time. If we make any substantial changes, we will notify you by posting a prominent announcement on our pages. This website and the materials and information on this website are provided by Strategic Investment (hereinafter referred to as "Strategic Investment" or "we") and may be used for informational purposes only. By using this website, you represent that you have read and understand these terms and conditions and agree to be bound by these terms and conditions. Furthermore, by using this website, you represent that (i) you have the capacity to be bound by these terms and conditions and (ii) if you are acting on behalf of a company or other entity, you have the authority to bind such company or entity. If you do not agree to these terms and conditions, do not use this website or download any materials from this website. Strategic Investment may amend or revise these terms and conditions at any time. By using this website, you agree to be bound by these terms and conditions as in effect from time to time. Please review these terms and conditions regularly. Except as otherwise indicated, this website and its entire contents (collectively, the "Materials"), including, but not limited to, the text, information, material, software and graphics contained on this website, are owned by Strategic Investment, and its affiliates. The Materials are protected by copyright, trademark, and other intellectual property laws and treaties. Strategic Investment makes no proprietary claim to any third party names, trademarks or service marks appearing on this website. Any third party names, trademarks, and service marks are the properties of their respective owners. Except as provided in the next sentence, the Materials may not be copied, reproduced, modified, published, uploaded, downloaded, posted, transmitted, or distributed in any way, without Strategic Investment's prior written permission. You may download one (1) copy of the Materials on a single computer only for your personal, non-commercial, internal use. You may not (i) modify the Materials or use them for any commercial purpose, or any other public display, performance, sale, or rental, (ii) decompile, reverse engineer, or disassemble software materials, (iii) remove any copyright notice or other proprietary notices from the Materials, or (iv) transfer the materials to another person. By posting a message or contributing in any way to this website, including, but not limited to, sending comments and e-mail, to this website, you expressly grant Strategic Investment the right to use in any way, copy, republish, or sell your message or other contribution as part of its property. BY USING THIS WEBSITE, YOU ASSUME ALL RESPONSIBILITY AND RISK FOR THE USE OF THIS WEBSITE AND THE INTERNET GENERALLY. THE MATERIALS ARE PROVIDED "AS IS," WITHOUT ANY EXPRESS OR IMPLIED WARRANTY OF ANY KIND, INCLUDING, WITHOUT LIMITATION, WARRANTIES OF MERCHANTABILITY, FITNESS FOR A PARTICULAR PURPOSE, NONINFRINGEMENT OF INTELLECTUAL PROPERTY, AND FREEDOM FROM ERRORS, VIRUSES, BUGS, OR OTHER HARMFUL COMPONENTS. 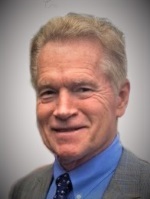 IN NO EVENT SHALL WE BE LIABLE FOR ANY DAMAGES WHATSOEVER (INCLUDING WITHOUT LIMITATION ANY SPECIAL, INDIRECT, OR CONSEQUENTIAL DAMAGES, AND DAMAGES RESULTING FROM LOSS OF USE, DATA, OR PROFITS, OR BUSINESS INTERRUPTION) ARISING OUT OF THE USE OF OR INABILITY TO USE THE MATERIALS OR ANY HYPERLINKED WEBSITE, EVEN IF Strategic Investment OR ITS AFFILIATES HAVE BEEN ADVISED OF THE POSSIBILITY OF SUCH DAMAGES. This website is intended to assist readers by providing financial data, research and editorial information on financial products. Strategic Investment will not be responsible for any errors or omissions in the Materials or information provided on this website, any articles or postings for hyperlinks embedded in messages, nor for any loss or damage caused by your reliance on information obtained on this website or in a hyperlinked site. This website provides information and advice based on our editorial content and advice of financial professionals. 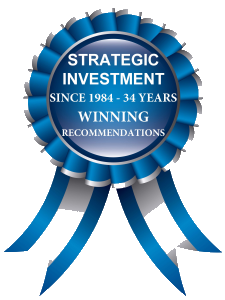 While Strategic Investment believes such information and advice to be reliable, we make no claims or representations about the accuracy, reliability, timeliness, usefulness or completeness of such information or advice. All information and advice given on this website is intended only to assist you with financial decisions. However, by nature such information is broad in scope. Your financial situation is unique and our information and advice may not be appropriate for your situation. Accordingly, Strategic Investment recommends that you get different opinions and seek the advice of your accountant and other financial advisers who are fully aware of your individual circumstances before making any final decisions or implementing any financial strategy. You should not rely solely on any information or advice you obtain on this website. Any reliance by you on any information or advice will be at your own risk. This website contains links to third party sites. These links are provided for convenience purposes and are not under the control of Strategic Investment or its affiliates. We do not make any representations and warranties, express or implied, regarding the content of any of these linked sites. These links do not constitute or imply an endorsement, authorization, sponsorship or affiliation by Strategic Investment with respect to any third party, any third party's website, the content of any third party's website, or any products or services provided by a third party.